With the recent upward economic trend and low interest rates, many small businesses are started to attract interest from potential buyers. In fact, BizBuySell Insight Report found that 10,312 small businesses were sold in 2018 – which was a record number for the third straight year. Buying a business is one of the best ways for companies to enter a new market or increase their market share. The increased demand from buyers is creating an opportunity for business owners who are ready to move on. If you’re considering selling your small business, here are a few things to keep in mind. Timing is one of the most crucial variables to maximize the return of any investment. Bitcoin trading illustrates this point perfectly. Bitcoin hit its record high of $19,783.21 on December 17, 2017, and is now trading under $4,000. People who didn’t capitalize at the peak are left wishing they had. This same mentality applies to selling a business. Recent economic trends have made it a favorable time for most businesses to sell – so now is at least a good time to consider it. While there’s no way to know for certain the perfect time to sell a business, there are some general indicators of when you shouldn’t. Don’t sell your business if you still love what you’re doing: If you still love your work and feel fulfilled every day, there isn’t a reason to step away from your business. Generally, business owners should look to sell because they want to make a lifestyle or professional change. Don’t sell when the market is in a downturn: The value of your business is correlated to the market within which it operates – therefore, you should look to sell when business is good, not bad. There’s a caveat to not selling during a downtown-- the downturn must be temporary. If you anticipate growth in the future, hold for the rebound. Don’t sell to the wrong person: Not all buyers are created equal. If you care about the long-term success of your business after the sale, you should do your due diligence for any potential buyer. Your Employees: Before you sell your business, you should create an exit strategy that includes a measured approach to responding to questions from your employees. While you shouldn’t discuss the sale to your employees until it’s finalized, you will need to have a plan for communicating the sale when it’s time. Your Potential Buyers: During the buyer’s due diligence phase, you should expect a lot of difficult questions about your business. From macro-level questions about your industry and company culture to micro-level questions about depreciating assets and long-term debt, there’s no blueprint to what questions a potential buyer might ask. Yourself: Surprisingly, some of the hardest questions you’ll have to answer will be your own. Business owners, especially ones who’ve owned the company for many years, often struggle to adjust to life after the sale. Be willing to answer honest questions to yourself and don’t be afraid of introspection. One of the biggest mistakes business owners make when selling their company is that they overvalue or undervalue their business. Value is dictated by what someone will pay for it – so how can you determine the value of your business? The best way to determine your business’s actual worth is to hire a third-party accountant to conduct a business valuation. A business valuation typically starts by assessing the value of your company’s current and long-term assets, income statements and receivables, short-term and long-term liabilities, and other metrics that show the financial health of your business. The accountant will then look at market indicators to determine the long-term viability of your company and industry, as well as what similar companies have sold for recently. These various factors are weighted and combined to determine the current market value of your business. 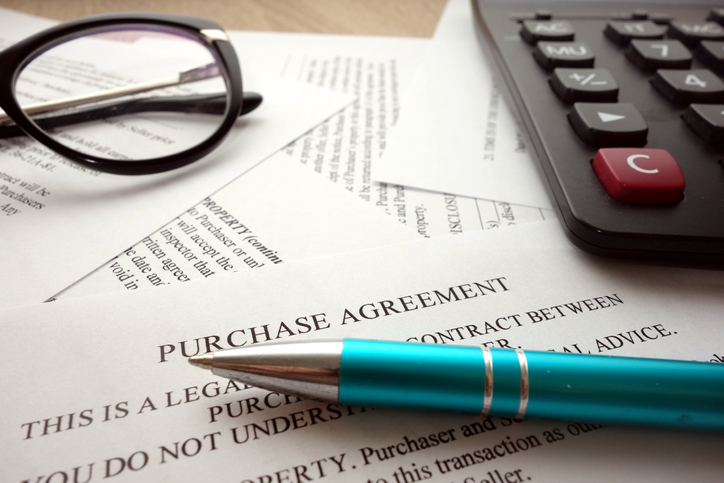 Determining the value of your business is important, but more so is your ability to defend that price during negotiations with the potential buyer. Maintaining clean and accurate financial records improve the validity of your business’s valuation. These same financial records are also the foundation of your defense to potential buyers looking to devalue your business. As with any negotiation, you need concrete evidence to support your claims. While potential buyers can discredit things like market share and goodwill, they can’t argue with your financial numbers – which makes your recordkeeping so important. Income statement: Your income statement shows the gross revenue, operating expenses (OPEX), cost of goods sold (COGS), and profits and losses of your business. Potential buyers will use the income statement to determine how profitable your business is, and they’ll use an industry multiplier to determine their own valuation. Cash flow statement: Your cash flow statement provides insight into how efficiently your business is with its most valuable asset – cash. Potential buyers will assess your operating, investing, and financing cash flow and will look at how your business manages working capital month over month. Balance sheet: The balance sheet shows potential buyers an overview of your business’s assets like equipment, land, inventory and accounts receivable. It also shows your liabilities like debts, loans or other payables. The balance sheet shows a company’s liquidity, and potential buyers can use metrics like debt-to-equity ratio from the balance sheet to assess risks. Tax returns from the previous three years: Potential buyers will want to see three years of tax returns to validate the numbers in your other financial documents. Moreover, they want to make sure that they are acquiring a business that is in good standing with the IRS. Seller’s discretionary earnings (SDE): The SDE (owner’s cash flow statement) is a business valuation method that reworks the income statement to show the full earning potential of your business. The SDE basically takes your income statement and adds back in discretionary items from the owner like salary, benefits and depreciation. Running a successful small business is a challenging yet rewarding adventure. Deciding to end that journey by selling your business can be a tough choice. The process of selling a business is exhausting and difficult, but when it’s all said and done, you’ll be richer – figuratively and literally. 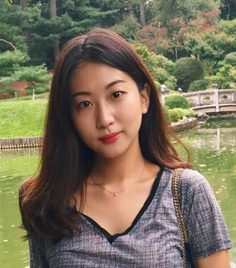 Christine Soeun Choi is a digital marketing associate at Fit Small Business. Currently based in NYC, she has a background in business studies and math with a passion for business development.